Euro is still consolidating near its minimums. 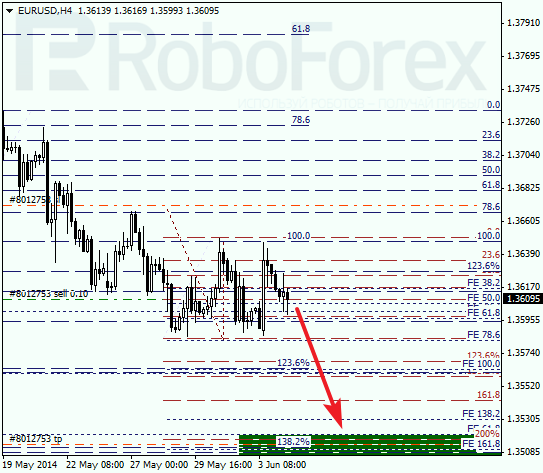 Possibly, price may to reach the next group of fibo-levels at 1.3520 – 1.3505 during the next several days. If later pair breaks this target area, instrument will continue moving downwards. 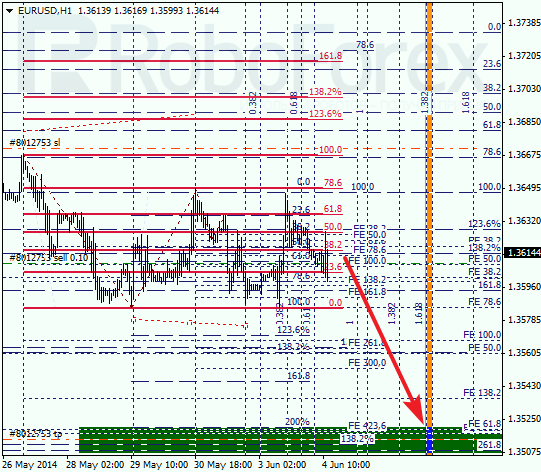 As we can see at H1 chart, price was just several pips shy to reach local level of 78.6% (1.3648). According to analysis of temporary fibo-zones, price may reach lower target area during the next several days. I’ve got one sell order; stop is placed above maximums. After breaking its maximum, Franc started new correction. Possibly, price may reach new maximum during the day. 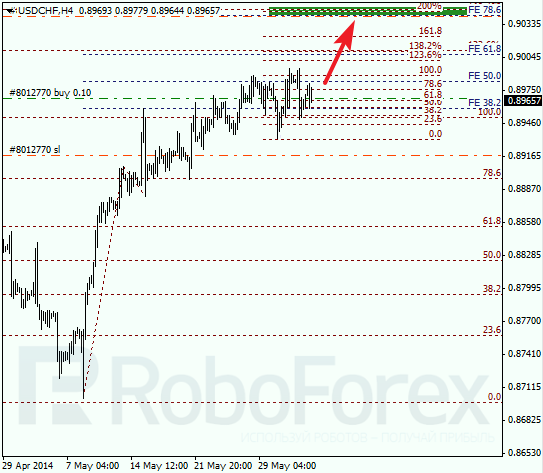 Main target is the group of upper fibo-levels at 0.9045 – 0.9040. 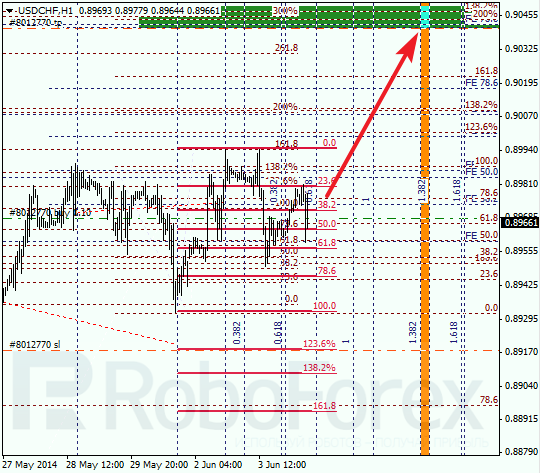 Considering that pair is inside flat pattern, our temporary targets are also moving to the right part of H1 chart. Earlier price rebounded from local level of 61.8% (0.8955), which means that market may start new ascending movement quite soon.